Some kind words in from Marianne & Tim, whose Wedding BBQ we catered for in Skelmorlie last month…..
“Hello, just wanted to say thank you for our wedding BBQ on 10th July! We were lucky to have beautiful sunny weather with a clear view over to Bute and the mountains on Arran and your great food made the day! All staff were brilliant,from the beginning of our wedding plans with you right until the end when the tables and cutlery etc. were picked up the following day. 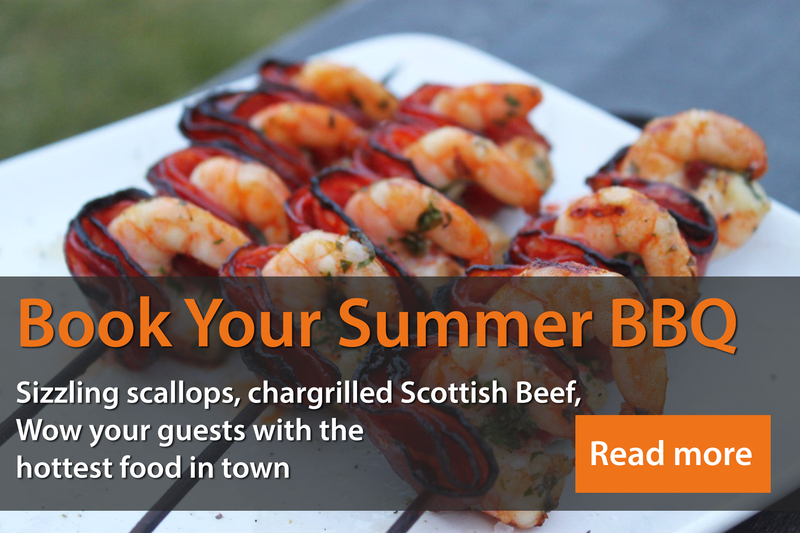 All the guests were impressed and the whole thing was easy and relaxed and delicious. 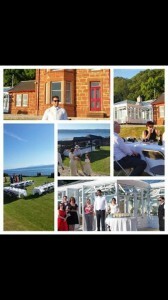 It was an absolute pleasure & a beautiful picturesque location for their big day. Thanks to Allan, Victoria & Kristian for their work at the event & a big thanks too to The Sun for it’s presence all day long. Obviously we mean the big yellow chap in the sky not the newspaper of the same name! All the best to Marianne & Tim for their future together.